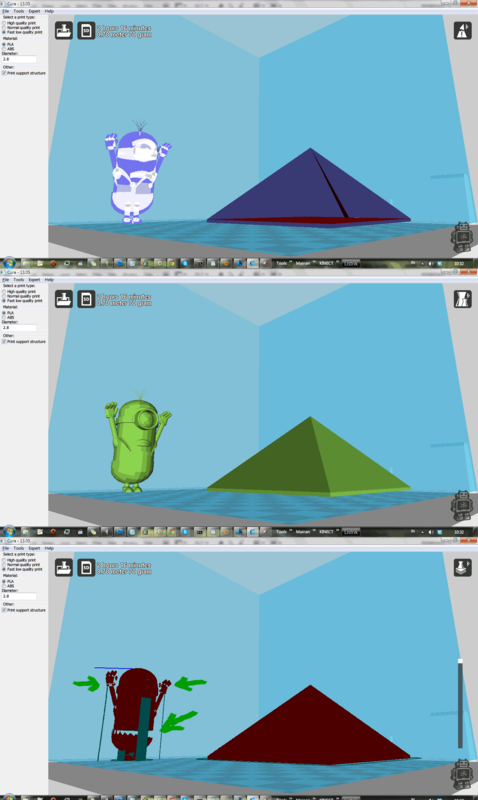 Hi everyone on ultimaker forums. I have searched about hole in slicing and has been reading that i need to see in XRAY mode. If theres a red color, then the 3d model is broken (double face, etc). But looking at my 3d model. The XRAY are clean. But in "layers" mode, the slicing are incomplete. There's a big hole on the character on the left. How can i fix it? to make cura not print mid-air on the character's stomach and fingers. its maybe similar to this post? where floor extruded in mid air. 2) You could try the "fix horrible" settings under "expert settings". You most likely want only "type B".